“Ouch, OWW, Stop, your pulling my hair”, these are some of the sounds and words I hear every morning when I am brushing or combing my 6 year olds long hair. And then I spray more hair detangler on her hair and it is still difficult at times to get out all the knots and tangles. For years I have been searching for something that would make this easier on the both of us. I have tried all types of brushes and combs and sprays and shampoos. Some of them make it easier but they really don’t solve the problem. When a company that claims to have an answer to this age-old problem recently contacted me I was quite skeptical. I was like come on I have heard it before. The proof is in the pudding, whatever that cliché means. 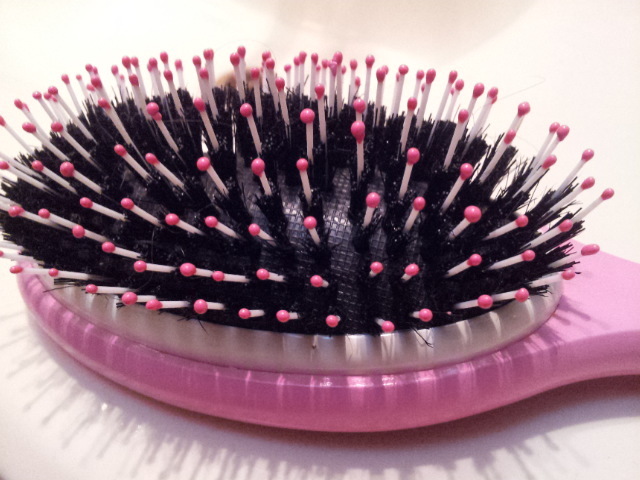 The product is called “Smoobee” and it is a brush that claims that it will not pull or snag your child’s hair. On their website they call it the Magic No Cry Brush™. They also offer a 100% no questions asked refund policy so they really stand behind this product. I received a brush from the company earlier this week and was pleasantly surprised with its quality. 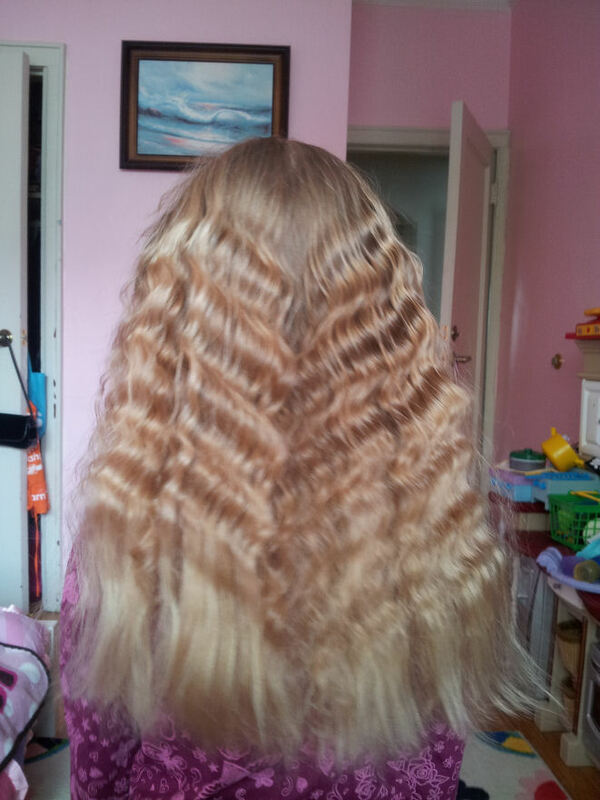 I decided to put it to the test immediately on my daughter’s hair when she came home from school. When I told her I had a surprise for her she got so excited thinking it was a toy or something. When I showed her the brush she smiled but I knew she was hoping for a doll or something else. However when I explained to her that this was a magic brush that would help brush her hair without pulling it she was eager to try it as well. We went into the bathroom and brushed her hair. As the website says the brush flowed smoothly through her long hair without snagging or pulling. After brushing for a few minutes it left her hair full of volume and tangle free. She was happy that it didn’t hurt her and I was happy that she was happy. Please watch this fun video of my daughter using her Smoobee. We then had an idea to try it on her Barbie dolls and other dolls around the house. We were amazed that the brush flowed through some of the most tangled doll hair you could imagine. It left her dolls like new. In conclusion I would give the Smoobee™ two thumbs up and highly recommend it to anyone who has children, long hair, or lots of dolls. Smoobee has offered to give one of my readers a Smobee of their own! Awesome! RULES: Contest is open to USA residents only. No purchase necessary. $17.99 value. The winner will be selected by random.org and notified by email, and will have 24 hours to reply back before a new winner is selected. Giveaway ends Friday, September 21st, 2012 at 11:59 PM EST. You Must be 18+ to enter this contest. Contest is in no way associated with Facebook. Enter for your chance to win using the form below. Only Mandatory entry is to leave a blog post comment as directed on the rafflecopter form to be with a chances of winning. All other entries are OPTIONAL and may give you better chance. All entries will be verified. Disclosure: The Smoobee Brush was provided to me by Smoobee.com. All opinions are mine and mine alone.